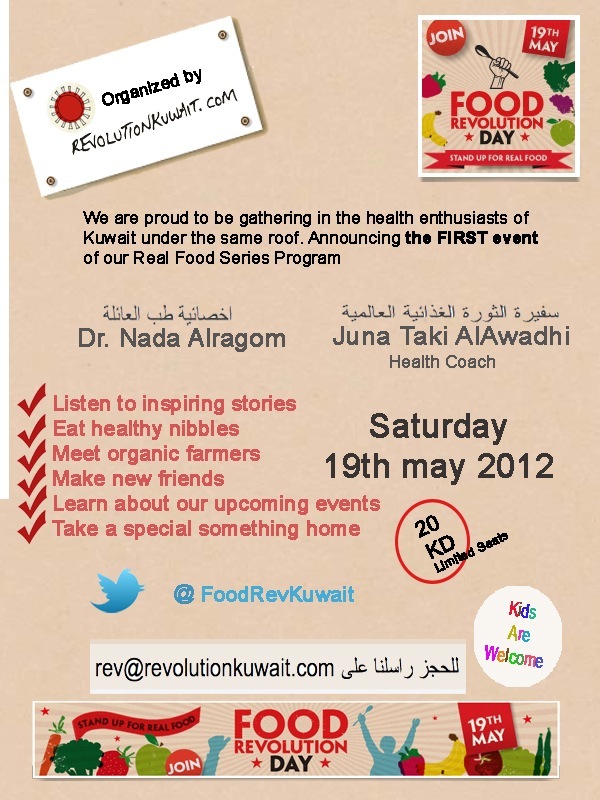 First Food Revolution Day event in Kuwait announced! This entry was posted in Recommendations and tagged food, food revolution, food revolution day, healthy, jamie oliver, kuwait, organic by Budour. Bookmark the permalink.